Fintech is disrupting the financial services industry at an unfathomable pace. In the trade finance segment, fintech is helping banks, asset management, and trading firms to combat regulatory pressures, minimize risk and fraud, and simplify the customer experience. Here’s a look at five key fintech segments enabling this transformation. Leading asset management firms and banks are turning to real-time risk analytics software for preventing fraud and identifying non-compliance with regulatory requirements. Risk analytics enables banks and other B2B enterprises to increase competitiveness and profitability while adhering to regulatory requirements. This is done by crunching scores of data from disparate sources to comprehend the creditworthiness and repayment competencies of borrowers, spot red flags, and predict outcomes. Empowered by real-time data, financial institutions can keep an accurate check on their P&L (Profit & Loss) to optimize investment returns. HFT technologies can accelerate execution speed by automatically approving profitable transactions. As a technology, HFT slashes trading costs for banks, asset managers and investors and helps provide more lucrative pricing to their customers. This segment is largely driven by the rise of global, independent, proprietary trading firms and quantitative hedge fund strategies. 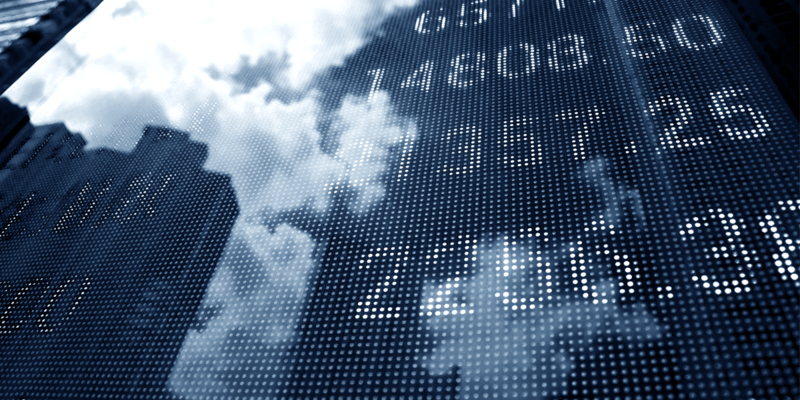 While the market is rife with trading firms using HFT strategies, stringent trading regulations, and implementation of special tax have compelled them to identify and develop algorithms that outbid those of their counterparts. Expect HFT technologies to become smarter going forward, through the synthesis of not just market data and price feeds, but also unconventional data sources like social media, weather forecasts, and sentiment analytics. Looking for comprehensive market and competitive information and analysis? Speak to us today. As cross-border transactions across varied digital modes continue to grow, so will the need for advanced gateway technologies. These technologies are helping trade finance institutions bring more convenience to customers through reduced processing time and lower costs. Sophisticated gateways with the latest encryption technologies will drive the gateway technology market. At the same time, API gateways will continue to gain momentum as they allow banks to automate several services. On October 16, 2018, ATEO announced that INTL FCStone selected LISA Clearing Engine as its gateways provide execution data and allocation information along with data useful for the audit trail of risk and compliance departments. On October 17, 2017, Earthport PLC, a financial services firm providing cross-border payment services to business enterprises and banks, chose Broadridge’s hosted service FXL for Foreign Exchange and Cash Management processing. The growing need for data security, eliminating human error, better decision-making, and minimizing risks associated with derivative trading, is pushing firms to turn towards advanced matching technologies. Matching technology is a revolutionary offering for high-liquidity markets where latency, security, and error-free scalability are critical business factors. It offers trading companies with real-time access to current quotations and order information to enable better decision-making. Matching technologies are gradually transitioning from ‘supervised learning’ (manual) to ‘reinforced learning’ (hybrid man-machine), wherein the systems constantly measure the outcome and correct future behaviors. Furthermore, RPAs for identifying patterns in demand matching will gain traction in the next five to seven years. IoT solutions are gaining ground in trade finance as organizations strive to improve performance through swift information transfer. Global firms are utilizing connected solutions to keep track of the movement of goods through the supply chain, enable real-time communication, and obtain reliable data for better decision-making. As the market continues to evolve, expect the introduction and adoption of enhanced security solutions to harvest enterprise data. Commodity traders could also begin to explore deployment of IoT to gather real-time updates on inventory, weather, quality, and shipments. In September 2018, Westpac Institutional Bank Trade Finance team successfully integrated data analytics, AI, IoT and blockchain into a single proof of concept. In October 2018, Standard Chartered and Huawei partnered to develop an IoT solution to expand ecosystem lending. Emerging fintech capabilities that utilize AI, quantum computing and big data are enabling stakeholders in capital markets manage their wealth and investments at lower costs and at high speeds. Blockchain will continue to draw investments as capital market exchanges move beyond experimentation. This will empower financial companies with improved security, zero data duplication and shared digital ledgers to enhance real-time verification, settlements, and reconciliation. Netscribes helps organizations in the financial services industry inform winning go-forward strategies with integrated market and competitive insights. To request a consultation, please contact [email protected].